This beautiful coastal town is internationally known for its whales, history and great ocean scenery. But not to be overlooked are some of the best restaurants in the Maritimes. From elegant dining rooms, to fish and chips on a deck, the St. Andrews area has a lots of great restaurant options. Downtown St. Andrews offers a wide range of choices. Our guests often enjoy the Kennedy Inn, Niger Reef Tea House, Europa Inn and the Chandler Room. 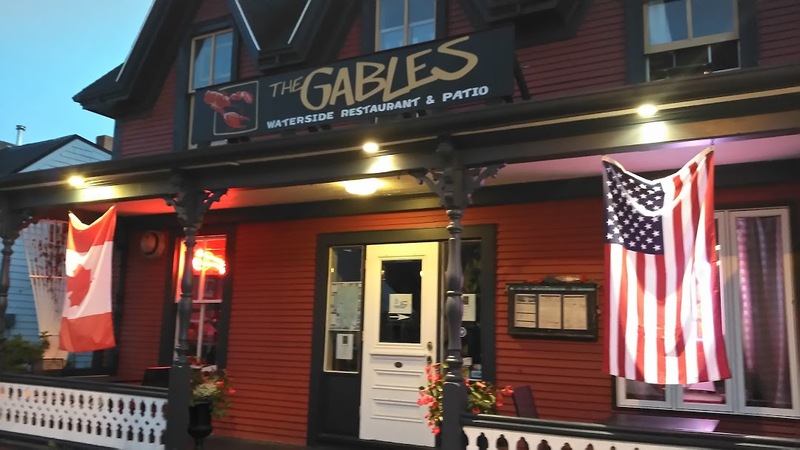 If you like to sit on a deck and watch the boats in the harbor, it’s hard to beat The Gables. Savour in the Garden, located within the Kingsbrae Garden, offers great food and wine in a beautiful setting. If you are more interested in a take-out menu, or a quiet picnic table, consider the Clam Digger, Old Tyme Pizza and Restaurant, or Ozzies, just off Route # 1 not far from Dominion Hill Country Inn. Of course there are lots of places that offer good coffee and ice cream to keep the kids happy. There is no need to stay away if you have a food allergy as many kitchens will be able to meet your needs. 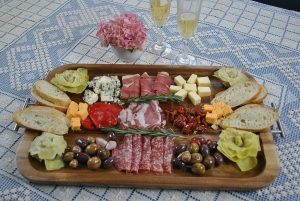 The restaurant at Dominion Hill Country Inn will prepare a full meal that is gluten free. Our guests have also given high praise to the Chandler Room and Niger Reef Tea Room in St. Andrews for their understanding of food allergies. We look forward to welcoming you to the St. Andrews area and will be honoured if you stay with us at Dominion Hill Country Inn and enjoy our restaurant. 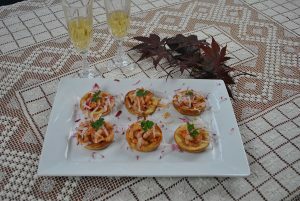 However, wherever you decide to find accommodations, know that there are great restaurants and a multitude of menus. You will not be disappointed by the restaurants of St. Andrews, NB.